Metadata is going through a massive transformation. The RDA 3R project, BIBFRAME and other linked data standards are changing the ways we provide access to information. How are these changes affecting the way you catalog? Kicking off the conference is keynote speaker, Kathy Glennan, Chair-Elect of the RDA Steering Committee. Her keynote, Evolution of the RDA Toolkit and Its Impact on Catalogers, will provide information about the external and internal factors that have driven the RDA Toolkit Restructure and Redesign Project, and will discuss what catalogers need to do to get ready for the new Toolkit. Following her presentation, are a series of concurrent sessions with several programming options and featuring topics such as, The Community College Perspective: RDA Conversion in a Small Academic Library, Planning for Linked Data, Cartographic Cataloging, What Google can teach us about Cataloging, and more! Don’t forget, one of the many benefits of Amigos Library Services membership is FREE attendance at all online conferences! If you’re not a member, register by October 26 for discount pricing. For more information about this conference, contact Bill Walker, walker@amigos.org or 800-843-8482 ext. 2853. RDA Steering Committee Chair-Elect Kathy Glennan will provide information about the external and internal factors that have driven the RDA Toolkit Restructure and Redesign (3R) Project, highlight some of the significant changes coming to RDA, and discuss what catalogers need to do to get ready for the new Toolkit. The Inventory app in the FOLIO suite of micro-services is being developed to be metadata format agnostic, that is, it will be compatible with multiple data sources such as MARC, Dublin Core, and BibFrame. RDA vocabulary and elements are proposed as default filters/facets, for example, RDA content type and nature of contents. This session will outline some of the ways RDA has shaped the development of FOLIO and the potential implications of a format-neutral catalog environment. Community college cataloging has little defined support; there are few, if any, universal cataloging practices for community college libraries to abide by, and often, cataloging teams consist of only one or two individuals. Small, isolated teams may also experience lack of community. While community college cataloging can come with special challenges, some are also of great benefit. For example, small departments have results in the ability to rapidly adopt new practices and train cataloging staff on those practices. Until 2017, Tulsa Community College cataloging was still largely based on AACR2 practices, and while previous catalogers had tinkered with RDA, no official steps had been taken to modernize the college’s cataloging practices. At best, records were completed in hybrid formats with complicated solutions for non-monographic items. In June 2017, TCC cataloging committed to modernizing their cataloging practices by first adopting RDA, and then by preparing staff for the eventual migration to BIBFRAME. Utilizing a variety of free or inexpensive resources, staff were able to transition from AACR1/AACR2 standards to RDA in less than six months, as well as collaborate with catalogers at different institutions to solve long-standing cataloging problems and conundrums. As a result, the College has completed hundreds of RDA record conversions or original catalogs in the past academic year, and the College is beginning to explore other avenues for modern records, such as Linked Data and metadata standards. This presentation will cover the challenges facing TCC prior to RDA conversion, the steps taken in order to successfully convert to RDA standards, the resources utilized, and the future plans for TCC cataloging. Texas A&M University Libraries has recently joined the Linked Data for Production (LD4P) cohort. This presentation will give an overview of what the LD4P project is, why we are interested in participating, an overview of our objectives and timeline, and what we hope to learn. The transition to linked data drives ever-greater technical bridge-building between previously segregated systems, and yet the implementation of controlled vocabularies to govern the new linked environment continues to occur primarily within linguistic silos. The use of unique identifiers, such as those employed by the Getty Vocabularies, can mitigate this problem, but linked data dependent on translated terms suffers unavoidably from key limitations: the lack of 1-to-1 equivalents between languages, uneven language skills amongst metadata creators, limitations in funding and labor to support translation efforts, and long-term instabilities arising from semantic drift. This presentation considers possible contributions toward solutions from the field of interlinguistics, particularly in the potential for an auxiliary language to function as a universal linguistic standard for metadata--democratizing access to metadata librarianship, rendering terminology maximally accessible to contributors from different regions (particularly in the global south), stabilizing term definitions, and reducing ambiguities by outsourcing translation from linked data itself into institutionally-local display metadata. What are we doing when we follow Tim Berners-Lee’s instruction to “use URIs as names for things,” and why are we doing it? Aiming to fill a perceived gap between introductory talks describing what a linked data triple is and more advanced technical presentations describing linked data implementation, this theoretical talk seeks to take a big picture look at library linked data and situate it in cataloguing history as well as in the current landscape of the burgeoning semantic web. Linked data fulfills the dream to abstract information to an atomic level, and does this in a useful, machine-actionable manner. By demonstrating where linked data’s adoption in libraries comes from, and what it leads to, I seek to promote a paradigm that sees linked data and it’s underpinning theoretical developments (RDA, IFLA LRM) as logical, necessary, and full of possibilities. "RDA and Non-Human Personages" will discuss the roles of agents in the IFLA Library Reference Model and the challenges inherent in LRM's definitions of persons and collective agents and their effect on the RDA idea of a "person." If agents must be real human beings, what about works that claim non-humans as their creators? Topics covered will include non-human personages in an agent-like capacity, fictitious entities, the use of pseudonyms for non-humans, alternative and real identities, animal performers, gods, angels, and everything in-between, and explains how the nomen entity may be used to record these in bibliographic records. Join Zepheira and the Dallas Public Library (DPL) to learn more about how linked data works, how DPL used it to develop and implement a new service, and where we predict linked data is heading. Gives a brief overview of cataloging maps in MARC and RDA, including a focus on fields specific to maps. Discusses scale, relief, and projection and other map characteristics. Walks the audience through the cataloging of an example map to create a MARC record. Describes fields added in RDA (33x fields). How do people search for books? To answer this question, our team analyzed millions of real Google searches. We find a significant disconnect between search terms and cataloging practice: most of the details we catalog are never searched, and most of the terms searched aren't in the catalog record. Even if catalogs can be crawled by Google (as they can with Linked Data), they will not appear in search results unless the metadata follows Google's most important maxim: Give the user what they want. In this session, I present our findings and demonstrate why current proposals for the future of cataloging fall short of search engine visibility. Session Description: RDA Steering Committee Chair-Elect Kathy Glennan will provide information about the external and internal factors that have driven the RDA Toolkit Restructure and Redesign (3R) Project, highlight some of the significant changes coming to RDA, and discuss what catalogers need to do to get ready for the new Toolkit. 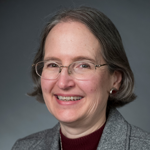 Speaker Bio: Kathy Glennan has more than 30 years of experience cataloging scores and audio recordings, at both the University of Southern California and the University of Maryland. She currently serves as the Head of Original and Special Collections Cataloging at UMD. Kathy is active in the Music Library Association, the Program for Cooperative Cataloging, and ALA’s Association for Library Collections & Technical Services, where for many years she has served as either a liaison or a voting member of the Committee on Cataloging: Description and Access. Since 2005, Kathy’s professional contributions have focused on the development of RDA: Resource Description and Access, with a special emphasis on music cataloging instructions. From 2013-2017 she served as the ALA Representative to the RDA Steering Committee (RSC). At the end of 2017, the RDA Board named Kathy the RSC Chair-Elect; she is also currently serving a one-year term on the North American RDA Committee. Session Description: The Inventory app in the FOLIO suite of micro-services is being developed to be metadata format agnostic, that is, it will be compatible with multiple data sources such as MARC, Dublin Core, and BibFrame. RDA vocabulary and elements are proposed as default filters/facets, for example, RDA content type and nature of contents. This session will outline some of the ways RDA has shaped the development of FOLIO and the potential implications of a format-neutral catalog environment. 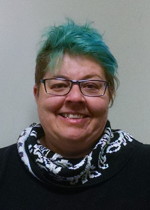 Speaker Bio: Laura Wright is the Serials and e-Resources Cataloging Manager at the University of Colorado Boulder and currently serves as the co-convener of the Metadata Management Subject Interest Group in the FOLIO project. Session Description: Community college cataloging has little defined support; there are few, if any, universal cataloging practices for community college libraries to abide by, and often, cataloging teams consist of only one or two individuals. Small, isolated teams may also experience lack of community. While community college cataloging can come with special challenges, some are also of great benefit. For example, small departments have results in the ability to rapidly adopt new practices and train cataloging staff on those practices. 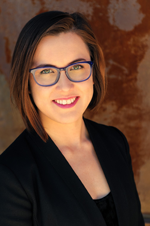 Speaker Bio: Elizabeth Szkirpan is a double-graduate of the University of Oklahoma with a BA in Journalism and Archaic History, as well as an MLIS in Information Studies and a focus on information organization. She also holds a Certificate in Project Management from Tulsa Community College and is currently working on a Certificate in Public Library Management from the University of Wisconsin. 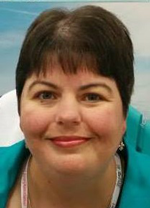 She has previously held positions working in congressional archives, library acquisitions, reference and instruction, and currently works as the Catalog and Metadata Librarian for Tulsa Community College. Current job duties entail working closely with LGBTQ+ collection development, cataloging modernization, and a variety of metadata projects for the college. Session Description: The transition to linked data drives ever-greater technical bridge-building between previously segregated systems, and yet the implementation of controlled vocabularies to govern the new linked environment continues to occur primarily within linguistic silos. The use of unique identifiers, such as those employed by the Getty Vocabularies, can mitigate this problem, but linked data dependent on translated terms suffers unavoidably from key limitations: the lack of 1-to-1 equivalents between languages, uneven language skills amongst metadata creators, limitations in funding and labor to support translation efforts, and long-term instabilities arising from semantic drift. This presentation considers possible contributions toward solutions from the field of interlinguistics, particularly in the potential for an auxiliary language to function as a universal linguistic standard for metadata--democratizing access to metadata librarianship, rendering terminology maximally accessible to contributors from different regions (particularly in the global south), stabilizing term definitions, and reducing ambiguities by outsourcing translation from linked data itself into institutionally-local display metadata. Speaker Bio: Race MoChridhe is a library technician for the Minnesota Department of Transportation and an MLIS student through the University of Wisconsin Milwaukee. He is deeply interested in language issues in library services and particularly in intersections between applied linguistics and library science, with work on related topics forthcoming in the Journal of Academic Librarianship, hls, the Journal of New Librarianship, and Routledge's Transformative Digital Humanities anthology. Session Description: Texas A&M University Libraries has recently joined the Linked Data for Production (LD4P) cohort. This presentation will give an overview of what the LD4P project is, why we are interested in participating, an overview of our objectives and timeline, and what we hope to learn. 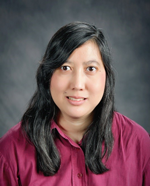 Amanda Ros Bio: Amanda Ros is the Coordinator of Monograph Copy Cataloging at Texas A&M University Libraries. She earned her MSLIS from Florida State University in 2006. She also has a Masters in Theological Studies. She has over 25 years’ experience working in academic and public libraries, primarily in Cataloging. Amanda is very active in ALA and is currently serving as Chair of the Committee on Cataloging: Description and Access. Jeannette Ho Bio: Jeannette Ho holds the position of Cataloging/Metadata Librarian at Texas A&M University Libraries, where she catalogs monographs and participates in the management of the Libraries’ institutional repository, as well as the planning of her unit’s policies for the management and creation of non-MARC metadata. 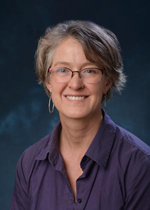 She has chaired the Online Audiovisual Catalogers (OLAC) task forces that created best practices guides for cataloging streaming media and published articles on cataloging video recordings and enhancing online catalogs. Session Description: What are we doing when we follow Tim Berners-Lee’s instruction to "use URIs as names for things," and why are we doing it? Aiming to fill a perceived gap between introductory talks describing what a linked data triple is and more advanced technical presentations describing linked data implementation, this theoretical talk seeks to take a big picture look at library linked data and situate it in cataloguing history as well as in the current landscape of the burgeoning semantic web. Linked data fulfills the dream to abstract information to an atomic level, and does this in a useful, machine-actionable manner. By demonstrating where linked data's adoption in libraries comes from, and what it leads to, I seek to promote a paradigm that sees linked data and it's underpinning theoretical developments (RDA, IFLA LRM) as logical, necessary, and full of possibilities. 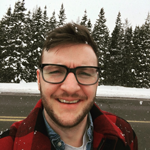 Speaker Bio: Jordan Patterson is a Cataloguing and Metadata Librarian at Memorial University of Newfoundland in St. John's, NL. He is interested in the big picture of linked data in libraries. Session Description: "RDA and Non-Human Personages" will discuss the roles of agents in the IFLA Library Reference Model and the challenges inherent in LRM’s definitions of persons and collective agents and their effect on the RDA idea of a “person.” If agents must be real human beings, what about works that claim non-humans as their creators? Topics covered will include non-human personages in an agent-like capacity, fictitious entities, the use of pseudonyms for non-humans, alternative and real identities, animal performers, gods, angels, and everything in-between, and explains how the nomen entity may be used to record these in bibliographic records. Speaker Bio: Amanda K. Sprochi is a health sciences cataloger at the University of Missouri in Columbia, Missouri. She recently served as the chair of the Fictitious Entities Working Group for the RDA Steering Committee and was a member of the RSC+ group. Session Description: Join Gloria Gonzalez of Zepheira, and the Dallas Public Library (DPL) to learn more about how linked data works, how DPL used it to develop and implement a new service, and where we predict linked data is heading. Stacchini Bio: Pauline Stacchini was born in Versailles, France. She obtained her Baccalauréat de Littérature from the Lycée International (Saint Germain-en-Laye, France), Bachelor of Arts from Saint John's College (Annapolis, Maryland), and her Masters of Library and Information Science from the University of Iowa. In 2016, she was named an American Library Association Emerging Leader, and is serving as Chair for the Texas Library Association's New Members Round Table. 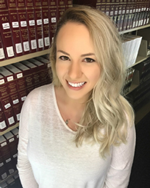 Previously the Reference and Instruction Librarian at Bellevue University's Freeman-Lozier Library (Bellevue, Nebraska), she is currently the Manager over Strategic Initiatives at Dallas Public Library, where she has served since 2015. Wright Bio: Andrew Wright was born in Cambridge, United Kingdom. He obtained his Bachelor of Arts in Humanities from Thames Polytechnic and his Masters of Information Science from the University of North London. 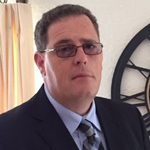 Previously at the BBC, Saudi Aramco in Saudi Arabia, Higher Colleges of Technology in the United Arab Emirates, and at Abilene Public Library in West Texas, he is currently the Manager Over Technical Services at Dallas Public Library, where he has served since 2005. Gonzales Bio: Gloria Gonzalez is the Library Strategist for Zepheira and the Library Link Network. Gloria helps academic and public libraries, archives, and rare book libraries incorporate Linked Data into their work. She also teaches a range of service providers about publishing Linked Data on the Web. Previously, she was the Digital Archivist at UCLA Library Special Collections and a Junior Fellow at the Library of Congress. Gloria holds a master's degree in Library and Information Science from UCLA and a bachelor's degree in Philosophy from the University of Mississippi. Session Description: Gives a brief overview of cataloging maps in MARC and RDA, including a focus on fields specific to maps. Discusses scale, relief, and projection and other map characteristics. Walks the audience through the cataloging of an example map to create a MARC record. Describes fields added in RDA (33x fields). 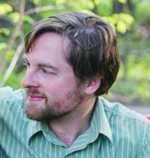 Speaker Bio: Tom Steele is the Science, Technology, Engineering, and Mathematics Cataloger at University of Oklahoma Libraries. He has also cataloged a large number of the Youngblood Energy (Geology) Library's maps over the last ten years, including many original maps. He has never been to Spain, but he lives in Oklahoma with his wife, two dogs, and two cats. Session Description: How do people search for books? To answer this question, our team analyzed millions of real Google searches. We find a significant disconnect between search terms and cataloging practice: most of the details we catalog are never searched, and most of the terms searched aren't in the catalog record. Even if catalogs can be crawled by Google (as they can with Linked Data), they will not appear in search results unless the metadata follows Google's most important maxim: Give the user what they want. In this session, I present our findings and demonstrate why current proposals for the future of cataloging fall short of search engine visibility. 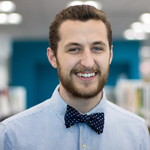 Speaker Bio: Trey Gordner is a digital marketer and library software entrepreneur. Going from special collections to startups, Trey has spent the past few years at the intersection of physical and digital information. His company, Koios, helps the library appear in local Google search results, building stronger communities around public resources. A.M.D.G.